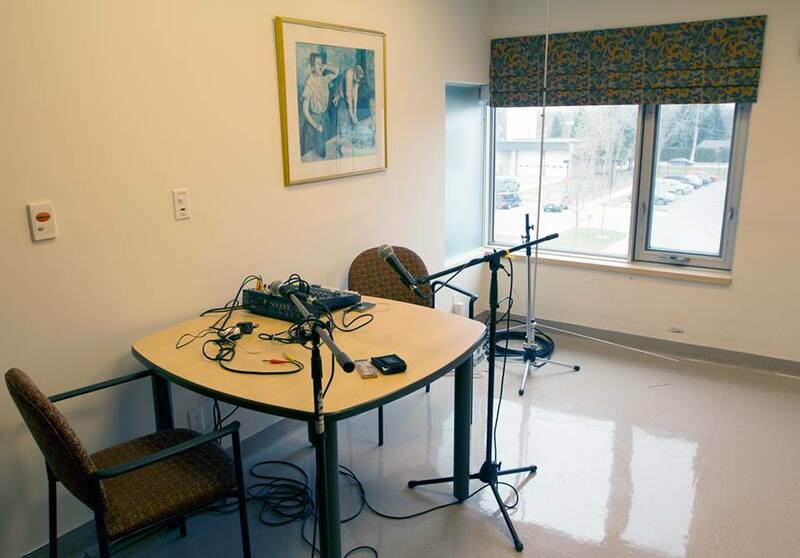 Wellness radio is a socially engaged art project and radio show by zachary Gough (pronounced GOFF) in collaboration with the residents of Huron Lodge, a long term care facility in South Windsor. Supported through the Neighbourhood Spaces program, Zach has set up a recording studio in the laundry room at Huron Lodge, where he is the artist in residence for the month of december. The radio show features stories and conversations with residents and gives a small window into life at Huron Lodge. Tune in Friday, December 13th from 8-8:30AM for the premiere episode!